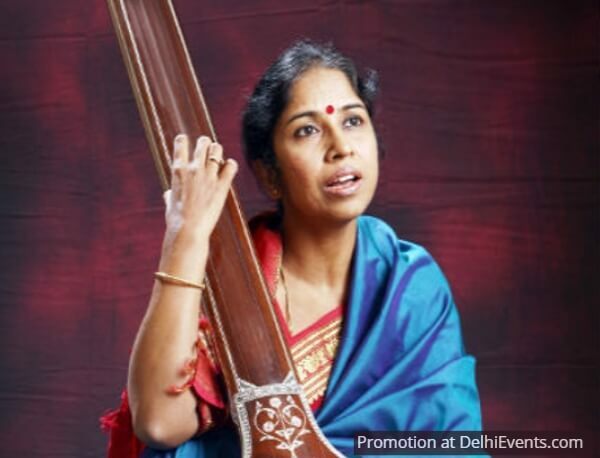 A performance by and an interaction with noted Hindustani Classical Vocalist Rama Sundar Ranganathan. Scion of the Dagar Gharana, Shree Alimuddin khan Dagar Sahab founded “Ustad Imamuddin khan Dagar Indian Music Art & Culture Society” in 1978. Since then this society is working for enhancement of music, art & culture. Ms. Shabana Dagar and her brother Mr. Imran Dagar are governing the society activities for last 14 years. They belong to the 20th Generation of the Dagar Family. They are the grand children of late Vidwan Ustad Imamuddin Khan Dagar, exponent of Dagarvani Dhrupad Gharana. Under the auspices of the society, in year 2009, Shabana Ji and Imran Ji established “The Dagar Archives”. This is the first archive of Dagar Family. It is located on 2nd floor of Ravindra Manch. The archives presents the history of Dagars and hosts rare recordings, rare pictures, Artifacts and many more rarities associated with Dagar family. The society also supports research work. Two students have completed their PhD research work in music under the auspices of the Society and the Dagar Archives. The society conducts cultural events and Classical music concerts in Jaipur, Delhi and other cities. In Delhi so far, the society has conducted 47 verses of Gunijan Sabha, which focuses on performance and dialogue with artists from different art fields.